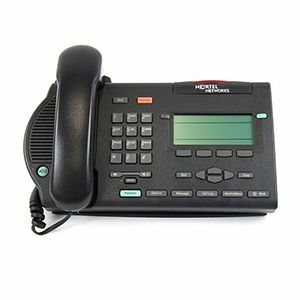 The Nortel M3903 digital phone is a multi-line, digital telephone that supports up to four lines and/or features through the two self-labeling keys at the top of the display. It includes an enhanced call log feature which can display up to 10 of the last incoming calls and up to 5 of the last outgoing. The M3903, which is part of the Nortel M3900 Series, is compatible with the Meridian Option telephone system and ideal for office professionals or technical specialists. The M3903 allows you to choose to list all incoming calls or just the unanswered calls. The fixed feature keys also allow you to switch easily from the handset or handsfree to headset use, personalize the phone using the options list, and quickly access your voicemail system. 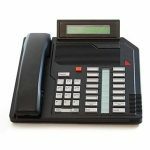 It can be used with the Option 11C Nortel PBX and is compatible with the Nortel Meridian SL-100 and the Nortel Meridian 1 platforms as well as some non-VoIP exchanges.